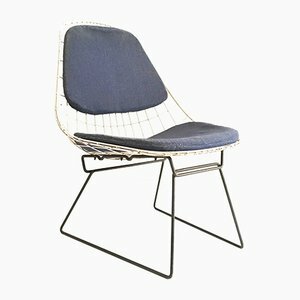 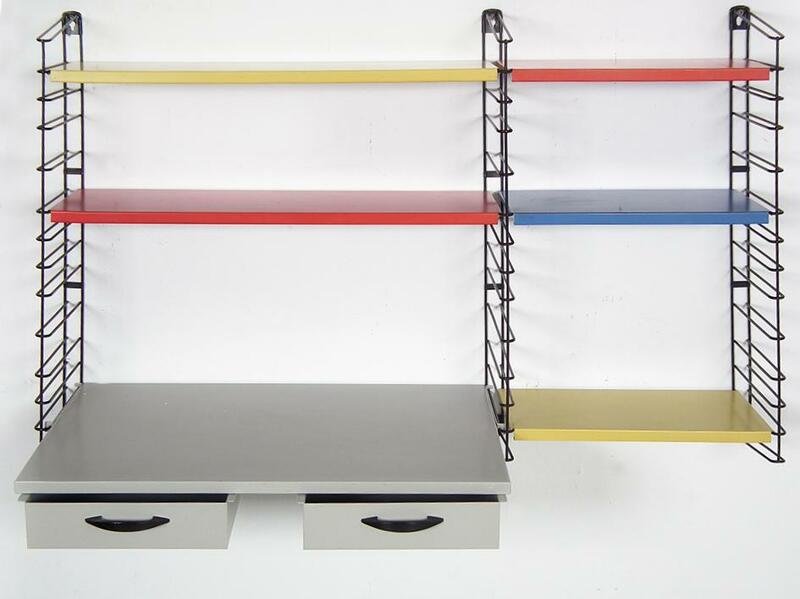 While it is difficult to unearth reliable biographical information about a number of 20th century designers, few prove as great a challenge as A. D. Dekker. 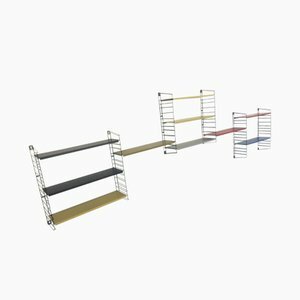 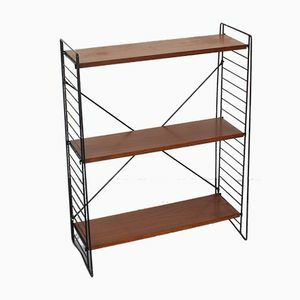 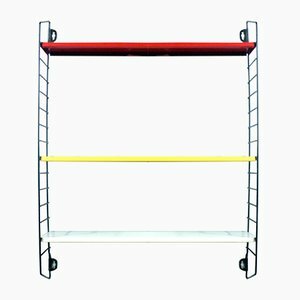 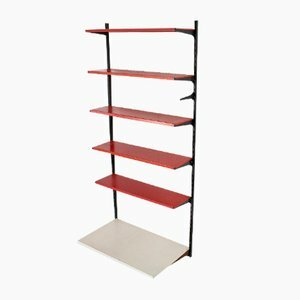 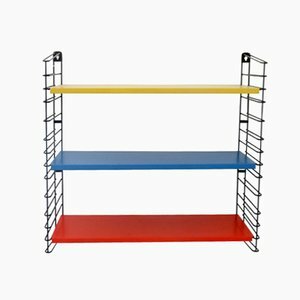 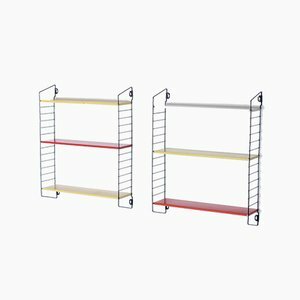 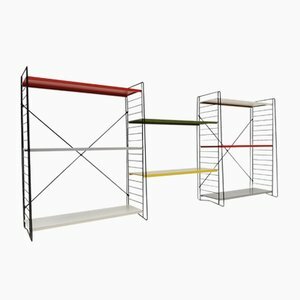 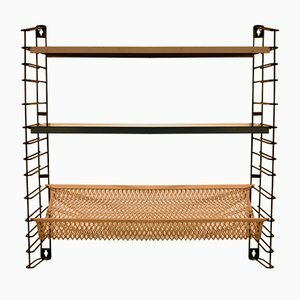 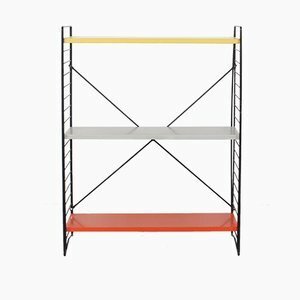 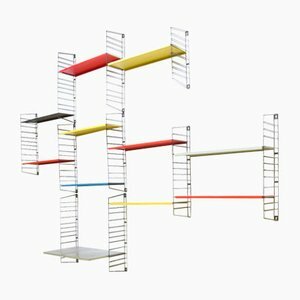 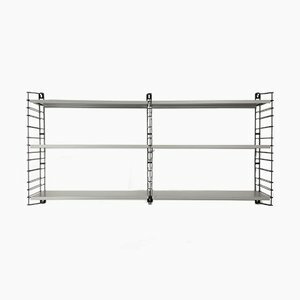 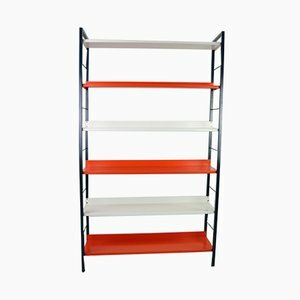 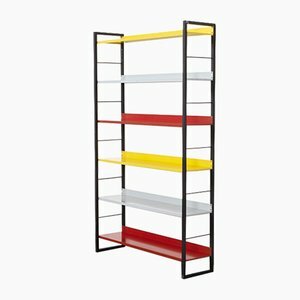 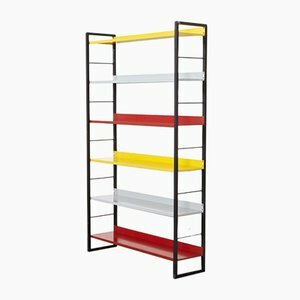 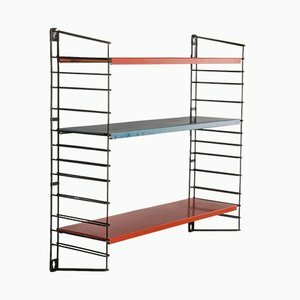 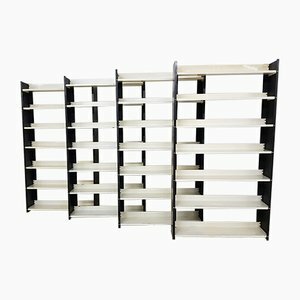 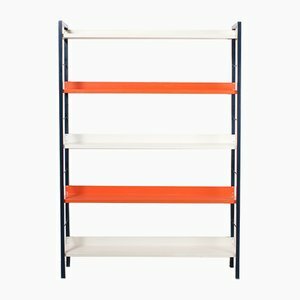 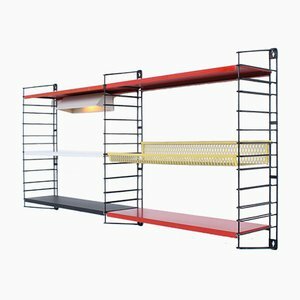 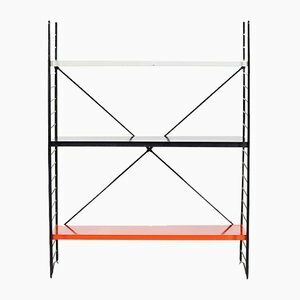 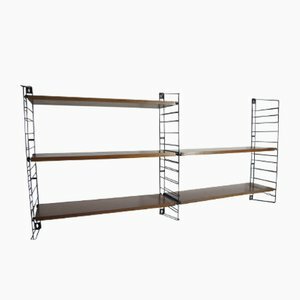 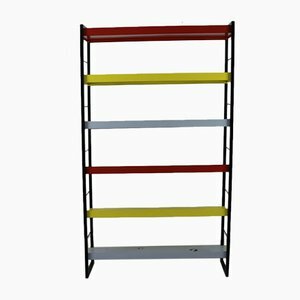 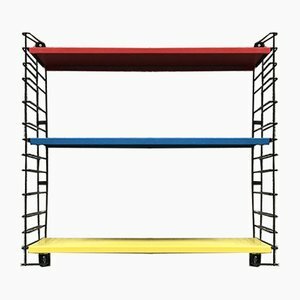 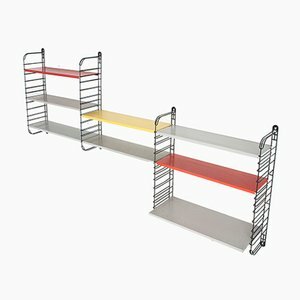 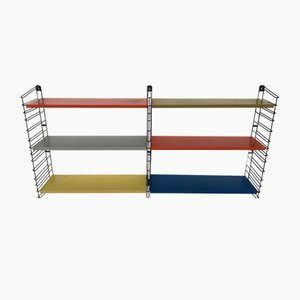 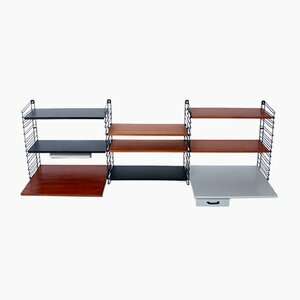 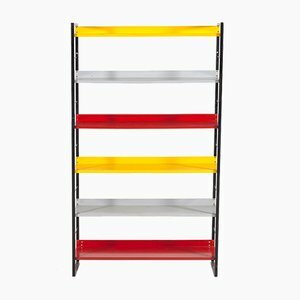 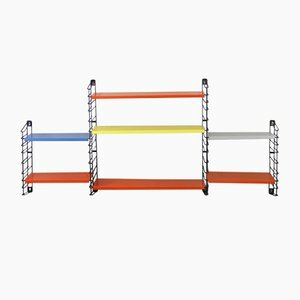 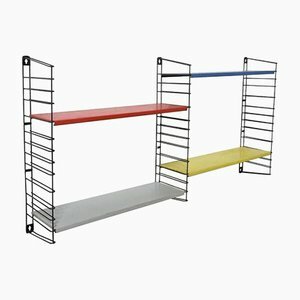 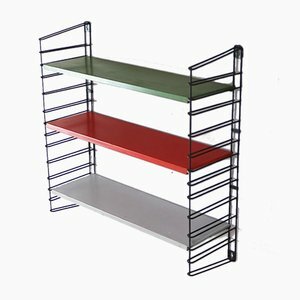 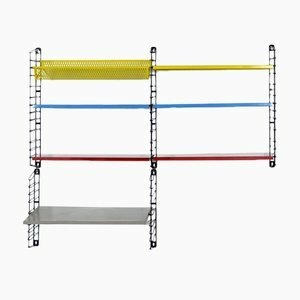 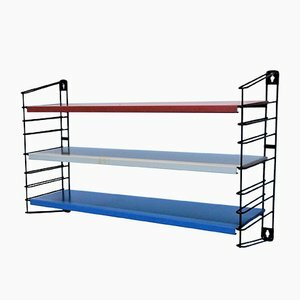 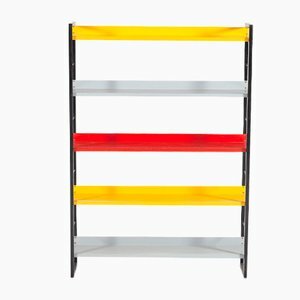 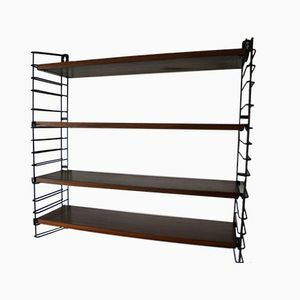 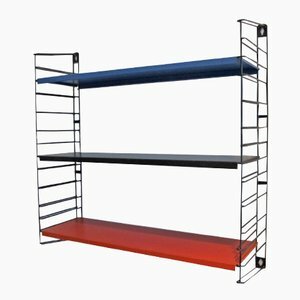 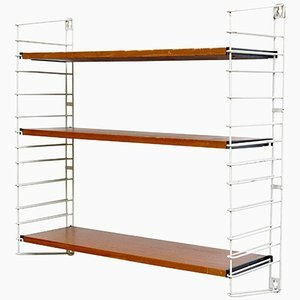 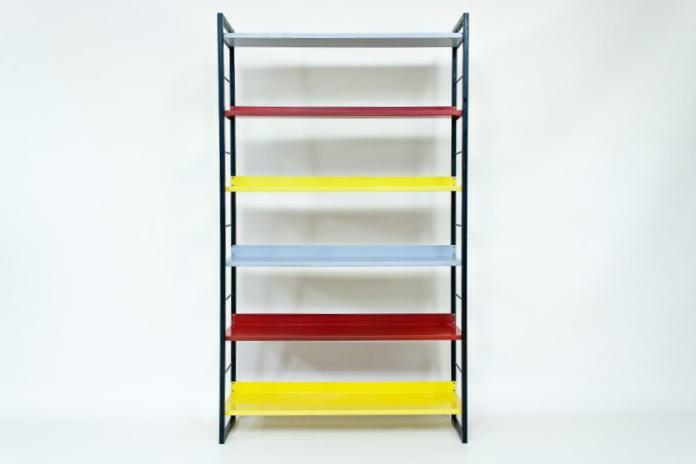 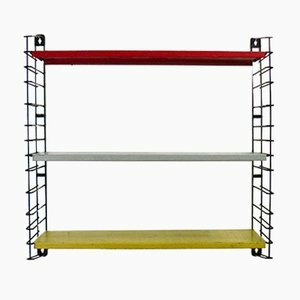 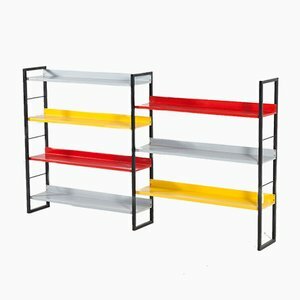 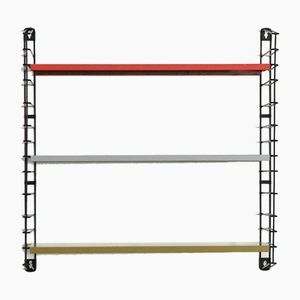 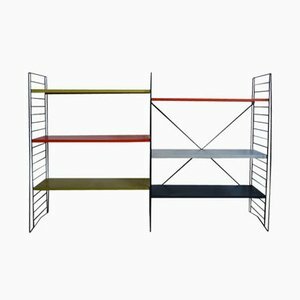 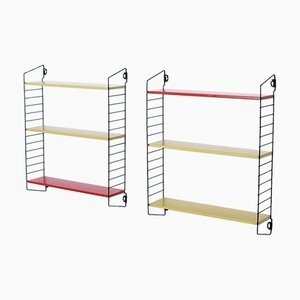 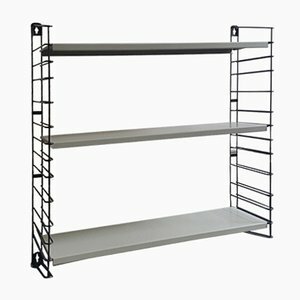 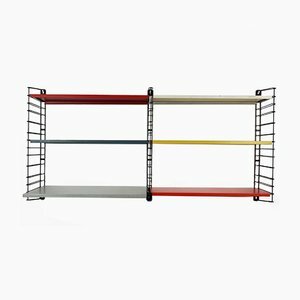 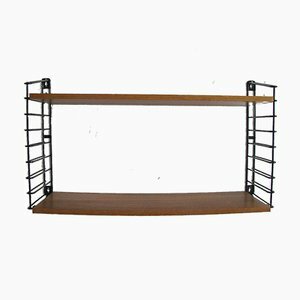 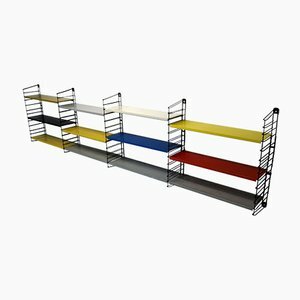 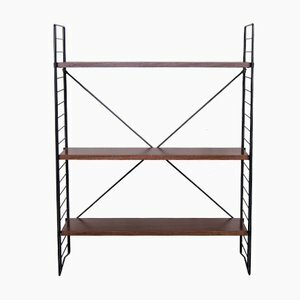 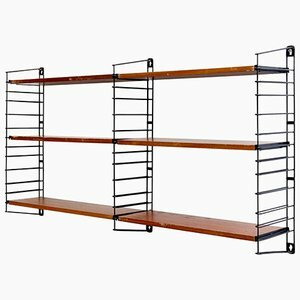 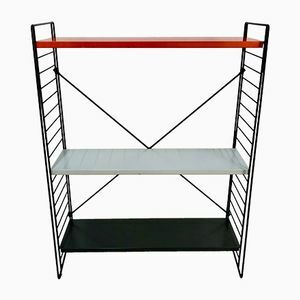 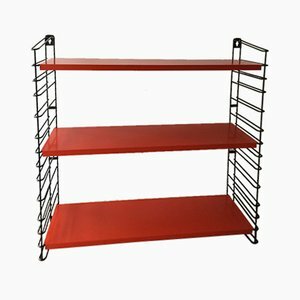 The designer is best known for a series of colorful, adjustable shelving units produced by Dutch brand Tomado. 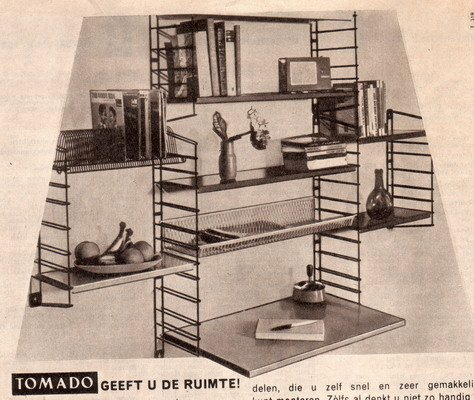 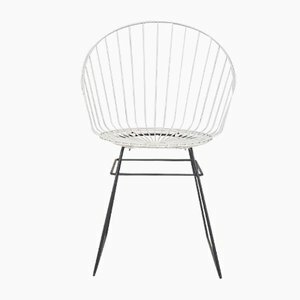 Confusingly, however, the designs are often attributed to either Adriaan Dekker, D. Dekker, or both! 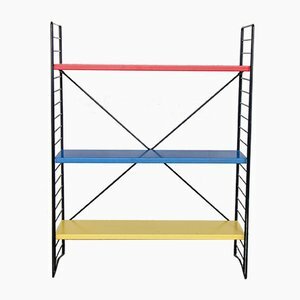 Unfortunately, our editors have been unable to resolve the conflicting information. 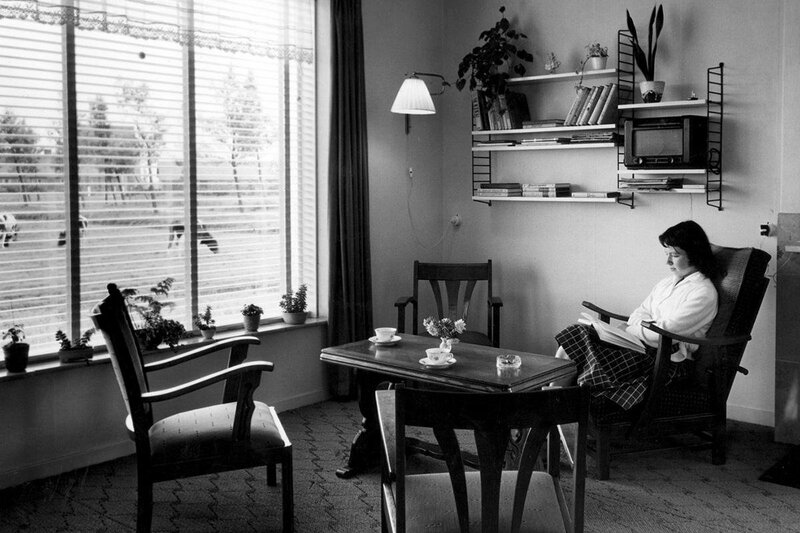 We have, however, successfully established some concrete, key facts: Tomado (which was founded in 1923 and is an abbreviation of Togt Massa Artikelen Dordrecht) commissioned the design for Expo 58 in Brussels (1958), the first World’s Fair that took place after the Second World War, although some sources indicate the design goes back as far as 1953. 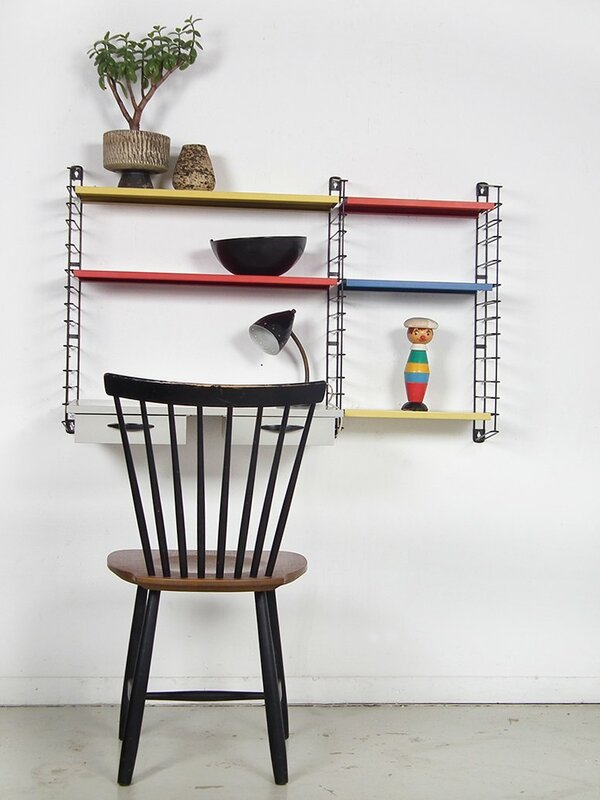 Despite the dearth of biographical information available on the designer, his brightly-colored and easy-to-identify wall units—each shelf branded with Tomado’s mark—have been rediscovered in the 21st century and enjoy considerable popularity on the vintage market.